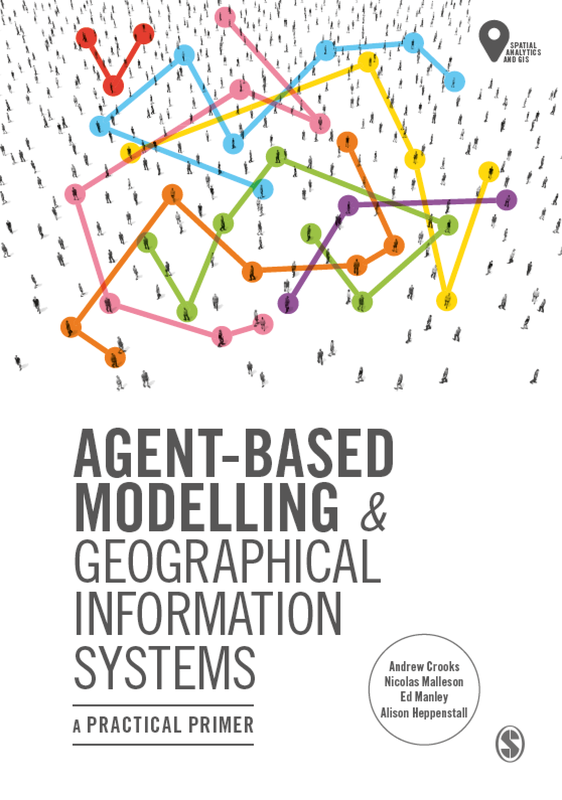 After spending time in the US, I am amazed how much one has to drive and this got me thinking about using agent-based models for traffic simulations (which is a large body of literature accompanying it). 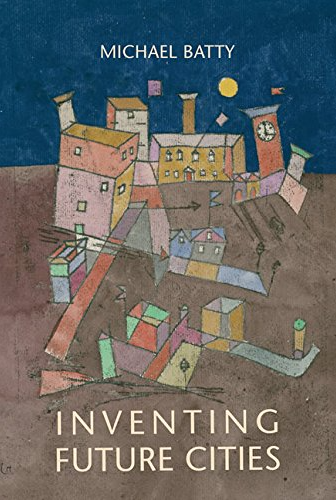 It also relates to my interests in urban systems and the fact that as cities have grown, transportation technologies have evolved (from walking, to trains etc), and now the automobile has become the dominant mode of transport for moving within and between cities. Trips range from journeys to work to shopping trips. The wide spread adoption and use of automobile is also one of the contributors to sprawl (in its many shapes and forms) as the car is not restrained by frequent stops or set routes, for instance such as trains are. Thus, if one can understand the relationships between land use and transportation one can investigate issues relating to urban sustainability. This is where agent-based models come in, in the sense they allow one to focus on the behavior of people. For example, how people decide to go to work. ABM also allows us to explore simple thought experiments and how more aggregate results emerge from individual interactions such as: what is more effective, a four way stop or a traffic lights at a road intersection? 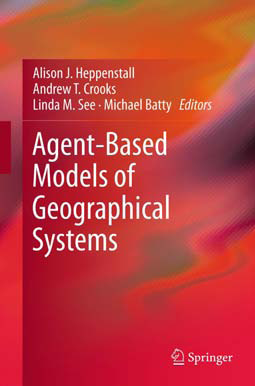 The simple agent-based model presented below utilizes MASON and was created by Omar Guerrero of the CSS department at GMU. The rules of the model are simple, in the sense that at a four way stop, the vehicle that is first to arrive, it is first to move, unless two vehicles arrive at the intersection at the same time and then the vehicle has to give way to the car on the right. While at traffic lights vehicles must stop at red lights. 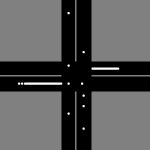 The movie below shows part of the graphical user interface for a particular model run of both a four way stop and traffic light. 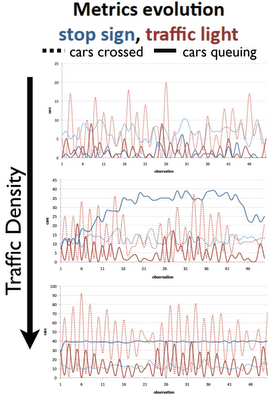 Moving away from micro patterns of traffic flows one can use ABM to explore daily commuting. For example, traffic models such as TRANSIMS or MATSim allow for the study of entire metropolitan regions and how traffic jams etc. form. To give a simple example of such a movement, the model presented below illustrates how many individuals can cause traffic jams. The model (using GeoMason) is based on commuters working within the Tyson’s Corner area of Virginia which boarders Washington DC. We take road and travel to work data from the US census and use this as the basis for our model. The road data acts as a basis for our agents (red) to move from their homes (areas shaded green) to Tyson’s corner and the census data provides us with the number of agents who travel to the area on a daily basis. The agents attempt to find the shortest path from their home to the destination with preferential attachment to highways and freeways over smaller country roads. By running the model, cars start at homes and travel towards Tyson’s Corner and as more cars join certain sections of roads, traffic jams start to form (as speed is a function of the number of cars on a specific section of road). 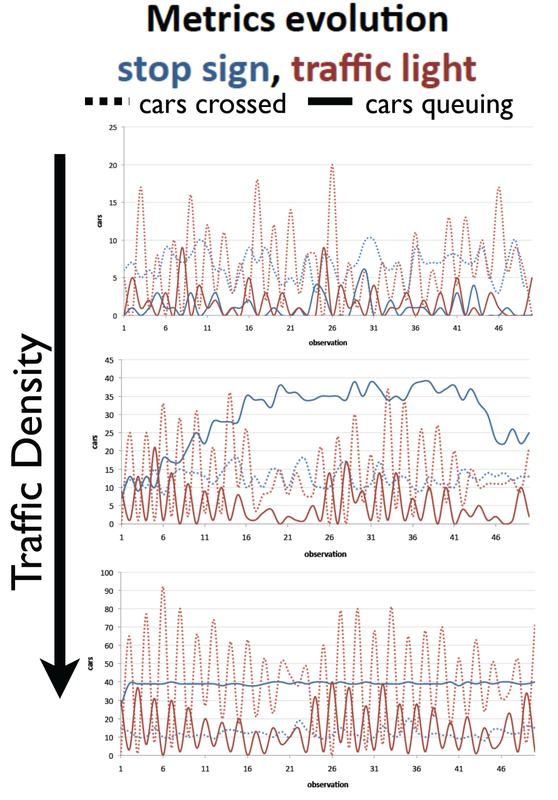 For example in the movie above, individual cars can be distinguished when they are not clustered but when traffic density increases, larger clusters develop.